In past years, the CCE PTO Business Partners Program raised over $20,000 in cash and in-kind services in support of education. We received amazing support from CCE Moms and Dads who are business owners and managers. As well, we received strong corporate support from GoGo Squeeze, Gator's Dockside, Pump It Up and Adventure Landing. Plus, we continue to receive the support of long standing business partners in this wonderful community, a community that values education. 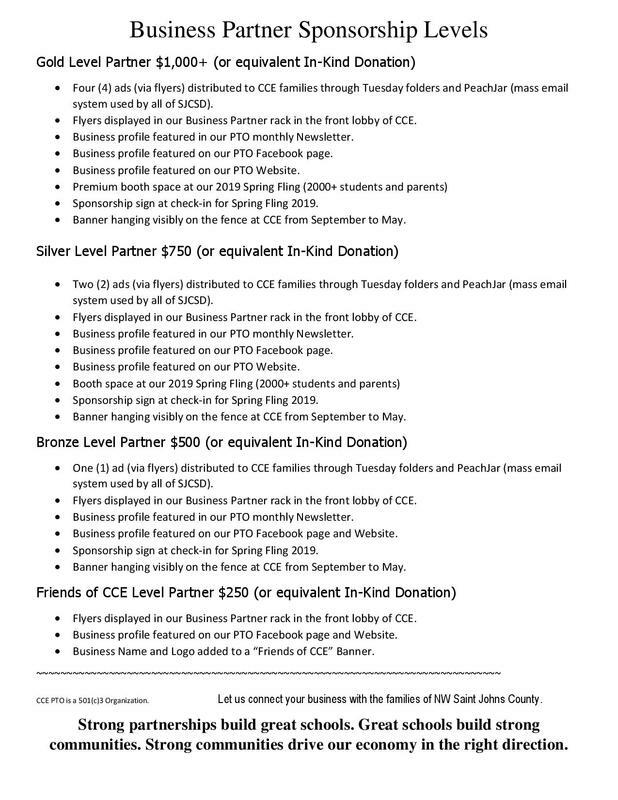 Interested in becoming a CCE PTO Business Partner? Contact Christine Costello or complete our information form.